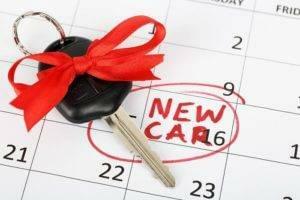 If you know you will be in the market for a new car come 2018, then you’ll find exactly what you’re looking for at our local car dealerships in Newnan, GA. One of the most anticipated releases of 2018 is the 2018 Toyota C-HR, a brand new vehicle to join the Toyota lineup of cars. Anyone shopping for a new Toyota will find that this model has an incredible set of features that will set it apart from the rest. All you’ll need to do is visit our lot at Toyota of Newnan to take a test drive. The 2018 Toyota C-HR blends the sleek style of a compact car with the comfort and technology of an SUV in this crossover. The 2018 Toyota C-HR will be available in two trim levels, the XLE and the XLE Premium. All trim levels of the Toyota C-HR come equipped with a 2.0-liter four-cylinder engine that pumps out 144 horsepower and 139 lb-ft of torque. This brand new vehicle offers a ton of efficiency and incredible acceleration that provides a smooth driving experience. Toyota has broken the mold the new C-HR. The performance of the vehicle is impeccable and the price tag won’t shock you either. The premium trim is just over $25,000. Drivers always want to say they own the safest vehicle on the market. It’s an important thing to note, especially for those who have children. The Toyota C-HR has room for five, so it makes for a good family car. Test drive one today at Toyota of Newnan. Some of the safety features offered in the brand new Toyota C-HR include the side impact beams, rear child safety locks, back-up camera, pre-collision safety system for the front of the vehicle and much more. Safety features are important, but you also need special features. Some of the special features in this new Toyota vehicle include Bluetooth wireless phone connectivity, 2 LCD monitors in the front, six speakers and USB and audio jacks, wireless streaming and more. 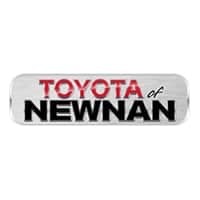 Stop by to meet our professional sales staff at Toyota of Newnan today, conveniently located at 2 Herring Rd. Our new car sales staff will gladly help you search for the trim level of the Toyota C-HR that best fits your family needs and budget.